Sony's president has confirmed that his company is developing a new video games console. Kenichiro Yoshida told the Financial Times that "it's necessary to have a next-generation hardware". The processing is carried out on servers operated by the firm's Azure cloud computing division. The "technical test" allows select gamers to play the latest Assassin's Creed game via the search firm's Chrome web browser. 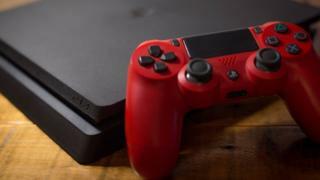 "There are concerns from a technical standpoint that not everyone would be able to get a flawless experience," said Daniel Dawkins, global editor-in-chief of the news site Gamesradar+. "Ownership of the [physical machines] also helps inspire loyalty and a sense of community. A lot of people would hate the idea of giving up the boxes." "A lot of us love a gadget," said games journalist Ellie Gibson. "Sometimes you just want a shiny new toy."